When isolating primary cells to get true single-cell suspensions, Next Day Science Cell Strainers are the quality product you need. 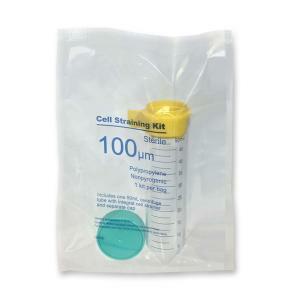 Our cell strainers are compatible with 50ml centrifuge tubes and come sterile and individually wrapped. Our SureStrain Premium Cell Strainers have a polypropylene frame that supports a nylon mesh and is available in three color-coded porosities: 40um (blue), 70um (white) and 100um (yellow). Their advanced frame/housing design contributes to superior performance and less processing time. Each Cell Strainer improves aeration so air can escape while filtrate enters the tube. Made with careful attention to detail, priced within your budget while offering the highest quality, Next Day Science ensures your specimens are categorized with the utmost safety. For more information, please see the individual model description. Cell Strainers fit on test tubes or conical tubes to isolate primary cells and work to obtain single-cell suspensions. They are usually color coded to help identify which of the cell strainers to use for various tube sizes. They are meant to replace a gauze filtration system in cell dissociation. They are used for preparing samples in stem cell, tissue-derived, primary cell culture, and flow cytometry cell procedures. They come in nonsterile and sterile versions. 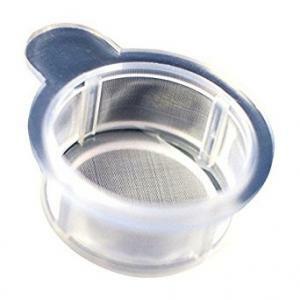 Cell strainers are made with evenly spaced pores of nylon mesh. Most common mesh sizes include 40 µm, 70 µm, and 100 µm to help isolate cells of different sizes. 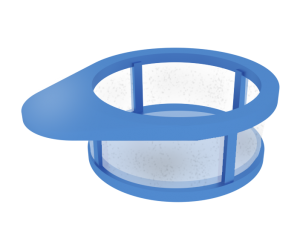 Some strainers have molded tabs or an extended lip to help with aseptic or sterile handling. How do cell strainers work? Cell strainers work to remove debris or clumps from samples or help to isolate cells for further testing. The cell strainers fit on the tops of various size sample tubes to help create a tight fit, so the material needs to pass through the strainer. The mesh is made of various sizes to only allow certain materials to pass through. It provides for the separation of materials based on size, so that certain material can be singled out from the whole sample. How to use cell strainers? Cell strainers are easy to use, because they are designed to fit on top of the conical tubes and various sized test tubes. These sterile devices help to isolate the primary cells quickly and allow for a consistent and uniform single-cell suspension from various tissues. The cell strainers are attached to the top of the test tube, and the needed materials pass through the strain, while the rest is saved within the original tube. It allows for the material needed for testing to be separated from the other material. How to choose the right cell strainer? Choosing the perfect cell strainer depends on what size test or conical tube that the sample is in. Once this is determined, the cell strainer cap fits right on the top of the tube tightly, so that all the material in the tube must pass through the strain. The strong mesh material comes in a variety of pore sizes to allow for the right sized material to pass through. 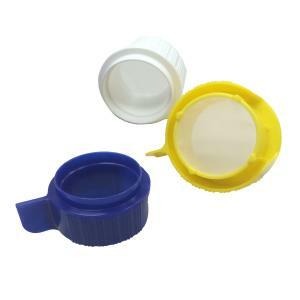 It is an easier alternative to gauze filtration, because the cap fits right on the top of the tube. What are some advantages of cell strainers? 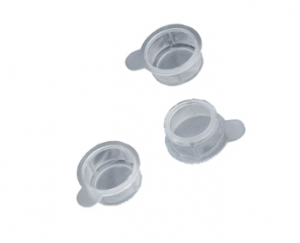 Cell strainers are easy to use, rapid, and sterile for the isolation of primary cells to obtain a uniform single-cell suspension consistently from tissues. They are utilized for the optimal performance for a variety of applications with primary and stem cells. The mesh is designed to produce spores that are evenly spaced, so that the results are reliable and consistent. They come in easily accessible packaging that that is convenient and maintains the overall quality of the process and avoids contamination during storage. They fit perfectly into conical tubes and other test tubes based on a 50 ml size. They are inexpensive enough to be disposable , so they maintain the integrity of the sample.